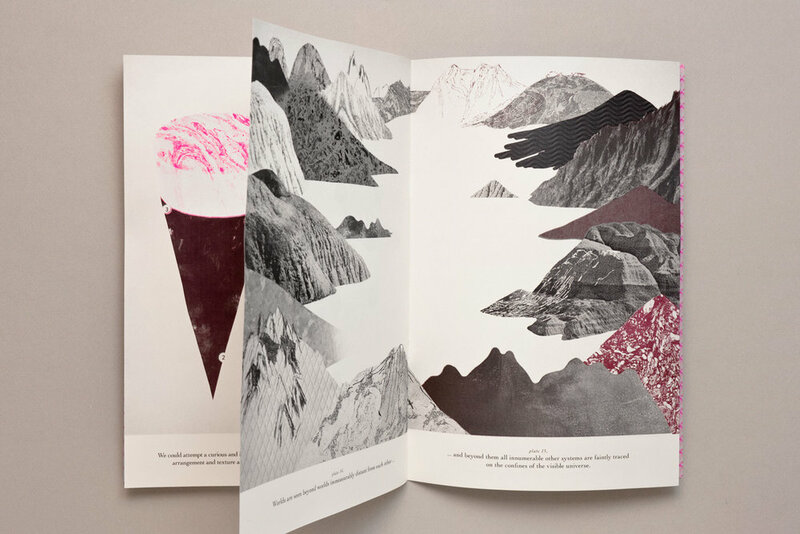 This book explores visual and conceptual analogies between ice-cream and geology. Semifreddo cakes, rocky cones and creamy desserts are models of cause-effect relations and incredibly slow transformations. mixed media experiences / multi-layers analogies / semifreddo state of mind. The mixed media technique attempts to evoke the layering of experiences and the metamorphosis of our states of mind. The text is the result of a cut and paste operation from Principles of Geology by Charles Lyell, London 1830. Digital + risograph printed by Inuit Bologna / size: 19 x 28,5 cm. Selected at 2014 Bologna Children's Book Fair.